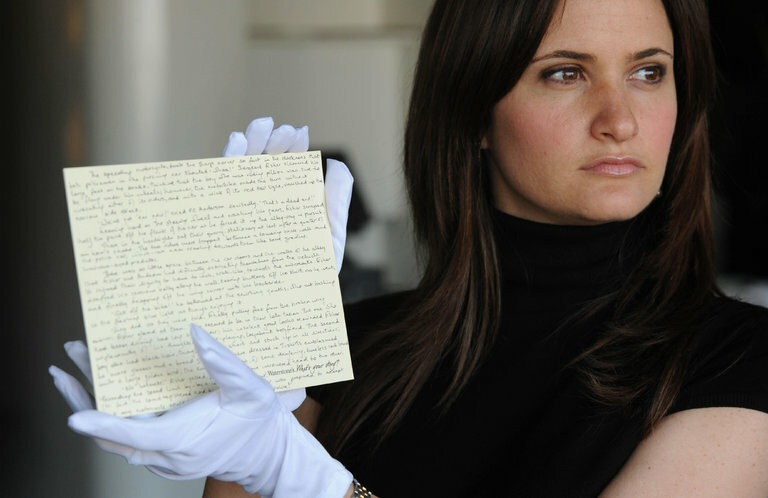 The story, set before Harry Potter’s birth, was hand-written by J.K. Rowling on two sides of a large postcard. It focuses on Harry’s father James and his godfather Sirius Black – the friends are having a quarrel with police officers before they escape on broomsticks. If you see an offer for the postcard, please contact the West Midlands Police.